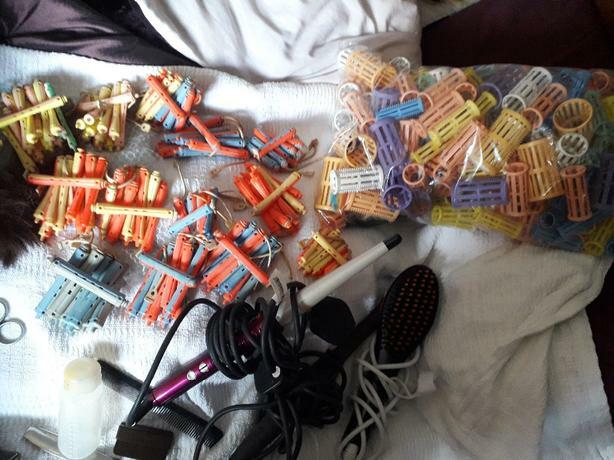 240 assorted rollers, 130 perm rods and rubbers, real hair training block and clamp, box of roller pins, box of finger wave pins, two tinting brushes, one curling tongs, one hair straigjtening brush, one electrical curling wand, one pair of aston and fincher scissors and some exyras. All good condition. Great for someone starting college.